Do you wish you had more time to paint, to learn new techniques, and to just GROW? 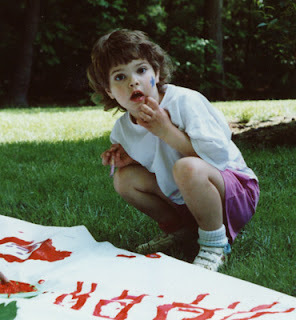 Alena Hennessy feels your frustration, and she has provided the means. 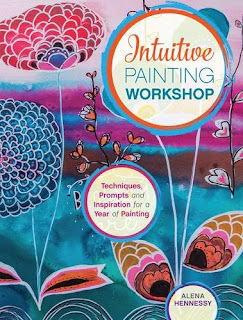 Alena is the teacher of a popular online course called A Year of Painting, and now she has made it possible for you to keep up your motivation through her fabulous new book, Intuitive Painting Workshop, published by North Light Books. The book is jam-packed with beautiful and inspiring pieces painted by both Alena and by her many many students, so you will be exposed to different styles and color palettes just as you would be in a classroom. Each month features a lesson, with enough step-by-step instructions that you won't ever feel lost, but with enough freedom that you also won't ever feel constrained. And even the instructional photos are beautiful! It's such a treat to browse through this book and be struck on every page by how gorgeous the world of color, light, and line can be. Even though I'm a little late in starting, I think I'm going to work through Alena's book this year. The piece for January is supposed to include a word or phrase for an intention for the new year. I think my word for the year needs to literally be the word "intentional." With the nerve and muscular problems that I've been having that have slowed down my rate of production, I really need to make every piece I create count, at least for me. Not expecting masterpieces here, just pieces that I enjoy making and hopefully enjoy looking at!